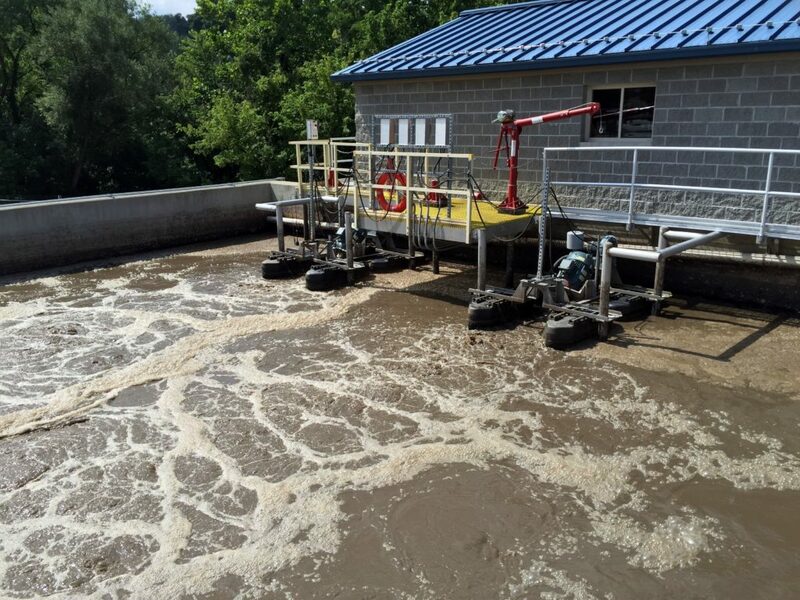 The activated sludge process uses a mass of organisms to aerobically treat wastewater and is used to remove biodegradable organics from both municipal and industrial wastewaters. The process upgrades the quality of effluent from high organic load wastewater. Whether you have a conventional activated sludge wastewater treatment system, a Sequencing Batch Reactor, or an oxidation ditch; Aeration Industries can design a site-specific solution to fit your needs. Our activated sludge wastewater treatment solutions maximize high oxygen transfer efficiency per hp hr by providing fine bubble aeration and deep mixing. Horizontal directional mixing and deep mixing capacity can be utilized to establish specific wastewater mixing patterns and maintain high concentrations of mixed liquor solids in suspension. 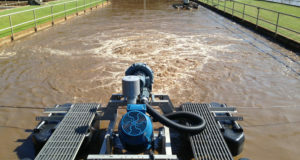 Why choose Aeration Industries’ Activated Sludge Systems?